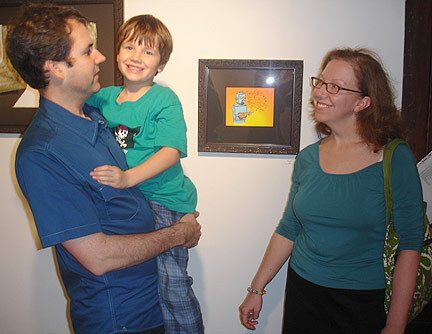 Bill & Barbara Mooney with their son at LUMP Gallery. Bill & Barbara own Tannis Root, a screen-printing company based in Raleigh, NC. I've known them for many years, and have worked with them on many T-shirts for DEVO and Mark Mothersbaugh.